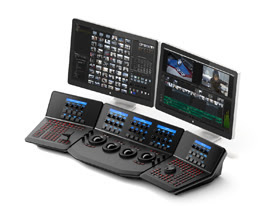 News - Neue DaVinci Resolve Version 11.1 zum Download! Neue DaVinci Resolve Version 11.1 zum Download! This update provides new editing features including gap trimming, independent track heights, swap edits, full screen timeline view, improved opacity sliders on video tracks and much more. To remove DaVinci Resolve from your system, double-click the Uninstall Resolve icon from the DaVinci Resolve folder in Applications. You will also need to download and install the latest Blackmagic Design Desktop Video software for monitoring with your Blackmagic Design video hardware. Desktop Video is available fromwww.blackmagicdesign.com/support. © 2001-2014 Blackmagic Design Pty. Ltd. All rights reserved. Blackmagic Design, Blackmagic, DeckLink, Multibridge, Intensity, H.264 Pro Recorder and "Leading the creative video revolution" are trademarks of Blackmagic Design Pty. Ltd., registered in the U.S.A and other countries. Adobe Premiere Pro, Adobe After Effects and Adobe Photoshop are registered trademarks of Adobe Systems. Avid Media Composer and Avid Pro Tools are registered trademarks of Avid. Apple Final Cut Pro, Apple Motion and Apple Soundtrack Pro are registered trademarks of Apple Computer. Some applications use the QT UI framework (http://qt.digia.com,http://qt-project.org) under the terms of the LGPL version 2.1. The QT dynamic libraries, built from unmodified source are included in the application bundle. A copy of the LGPL is included in the Blackmagic application support directory. The support note athttp://www.blackmagicdesign/support provides further details including how to obtain the QT source. Copyright © 2014 Blackmagic Design EMEA, All rights reserved. Your email address and contact information is contained within the Blackmagic Design reseller database. If you wish to unsubscribe from this list or have recieved this information in error please contact us.